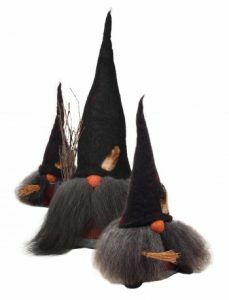 Home / STORE / Asas Tomtebods / Witch Tyra. Are there witches in the woods as well? Well, at least in the spring. Always. If the Asas Tomtebod you wish to adopt is not available, please let us know via email. therefore we need to know which Tomte people are interested in adopting before we send for them.